When you love your smile you want to share it! Nothing is more contagious than a huge grin or laugh. 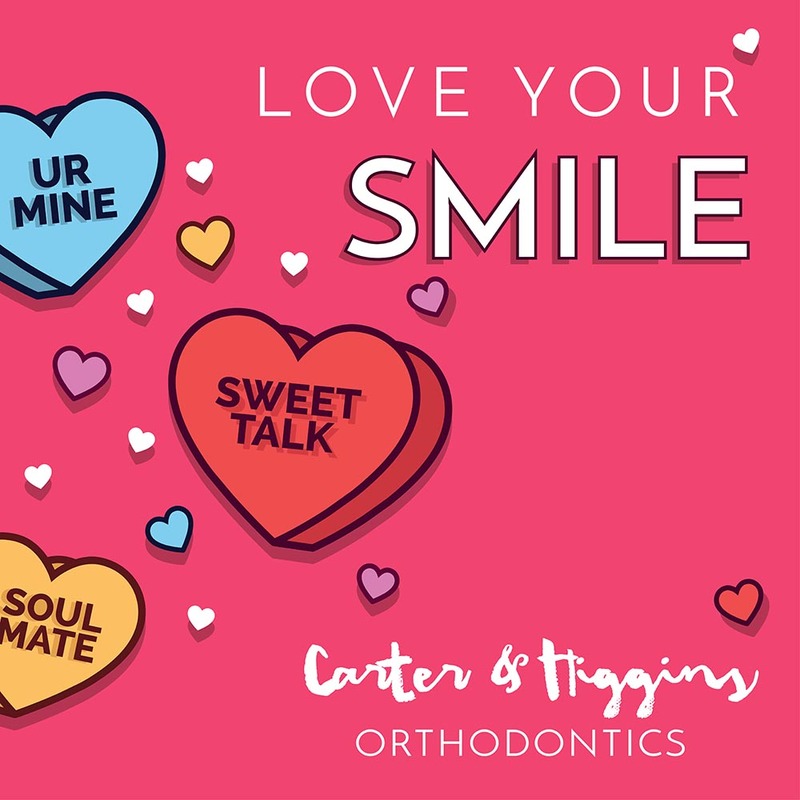 This month at Carter & Higgins Orthodontics we want everyone to share smiles and love. When you visit the office during the month of February grab a heart and write a few inspiring, encouraging, or silly words and post it to our wall. Your message will spread cheer in the office and beyond all month long. Our team will be snapping picks of your messages to share on Facebook and Instagram. You never know who your smile will reach, so start sharing that beautiful grin today!